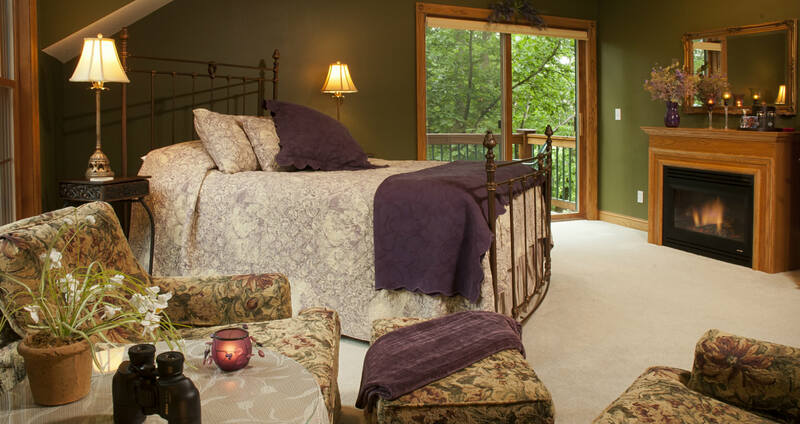 Reserve these comfortable, private accommodations at Woodland Trails Bed and Breakfast near Hinckley for your next getaway in Minnesota. The Royal Fern, which happens to be innkeeper Sandra’s current favorite, has walls painted with Hirshfield’s dark Hawthorne Valley Green, complemented with dark purple accents. The electric fireplace has a formal wood surround with mantle. Two easy chairs with an ottoman are positioned with a small table and lamp for reading. The private bath features a whirlpool tub and separate shower. A sliding door leads to a small private deck with table and chairs. 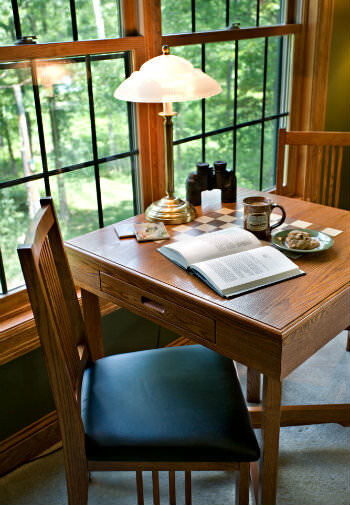 See how the Royal Fern compares to the other B&B rooms.